Congratulations to Joan Jamieson ! She and lucky guest will be attending tomorrow night’s performance of Civil Elegies. 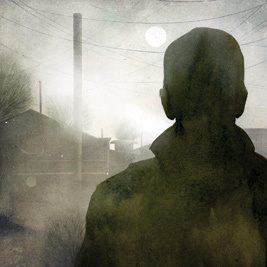 Directed by Albert Schultz and performed by Mike Ross, Civil Elegies will be running until December 24th at the Young Centre for the Performing Arts. Tickets are $28-$68 with shows running Monday to Friday at 8:00 pm, and matinee Wednesdays and Saturdays at 2:00 pm. If you too, would like to win a contest, check back each Monday for contest details. For more information about Civil Elegies read the reveiw by Trent Sherer or continue reading for excerpts from the press release below. 2009, at the Young Centre for the Performing Arts. Co-created by Mike Ross and Lorenzo Savoini(with Albert Schultz), Civil Elegies features the words of Dennis Lee with music by Mike Ross. Dennis Lee, Toronto’s ﬁ rst poet laureate and one of Canada’s best loved writers, is renowned for his work for both children and adults. In 1967, Canada’s Centennial year, Dennis Lee began writing Civil Elegies, a profound meditation on what it means to be a Canadian citizen and, speciﬁ cally, a resident of his home city – Toronto. That same year, Lee founded House of Anansi Press with a commitment to publish young Canadian poets. Civil Elegies won the Governor General’s Award in 1972. In the late 1990’s, in Charlottetown, P.E.I., a young actor/musician named Mike Ross was given a book of poems by Dennis Lee as an opening night gift. This began a decade-long musical voyage.Ross, unbeknownst to Lee, composed stunning music to many of Lee’s rhyming poems spanning several collections of Lee’s work. Stageplay is sponsored by TD Bank Financial Group.